Thanks Paul for inviting me back for the 15th year! I'm honored! Kudos to Paul for keeping his newsletter going for this long as well! That is a great accomplishment! Although I do not play as much chess as I used to, chess is always in my heart. I got to spend some time with Paul this past summer at the Renaissance Festival in Larkspur, which is always a good time. 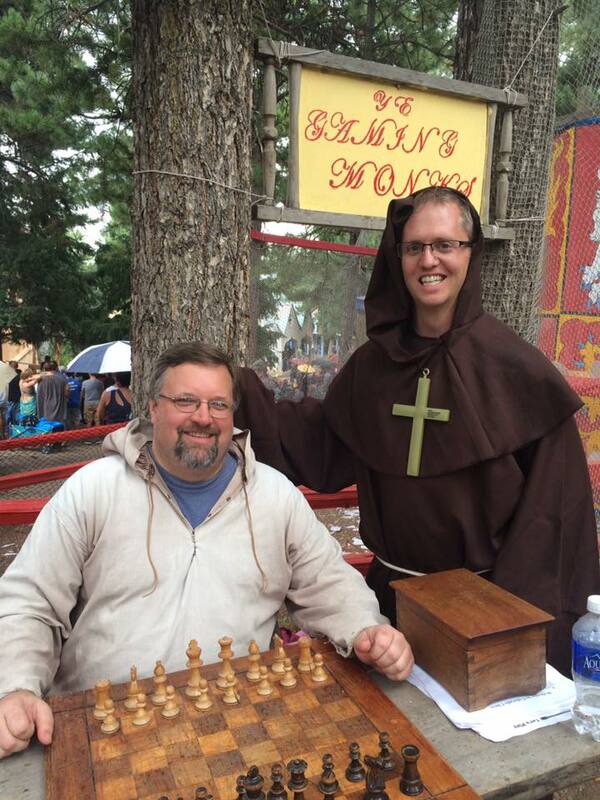 As usual, we were dressed as monks, and played the public for one dollar a game. If we win, we keep the dollar. If they win, they get a prize. Our goal is always to give out zero prizes! My funniest story from this past year was a guy who came up to me, and confidently said something to me like, "I hope you are ready to lose," in a thick Russian accent (like Ivan Drago in Rocky IV). I smiled and then proceeded to checkmate him in about 8-10 moves, using about one second per move. He was shocked! He said, "I thought you were just guys in costumes!" Wow! I think that is really exciting! This will be the strongest tournament in Colorado since the Edward Levy tournaments in the early aughts. I'm signed up, and ready to go! One other thing I am excited about these days is a new interactive online Tactics Time chess course that just came out on the website chessable.com. The funny thing is: I had no idea that this was in the works! Someone sent me an email last month asking about one of the positions that was in the this course, because he was one of the beta-testers. I wrote back that I had no clue what he was talking about. He got me in touch with the creator of the site, and I discovered that this was all legitimate, and New in Chess had set the whole thing up. The course just came out recently. You may have seen the ad for it in the April 2019 issue of the Colorado Chess Informant. Below is one of my favorite games. It comes from the Millionaire Chess 2 tournament, which was held at the Planet Hollywood in Las Vegas. I had an amazing time at the tournament. 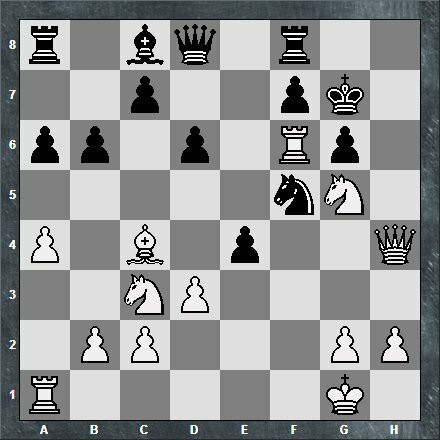 Joel Johnson published this game in one of his Attacking books (which are highly recommended!). Thanks again Paul for all of your hard work! Hope to see everyone at the Denver Open! 9. Qe1 b6 10. Qh4 h6 11. f5 exf5 12. Bxh6 fxe4 13. Bxg7 Kxg7 14. Ng5 Nf6 15. On April 9th, the Colorado Springs Chess Club finished the Cabin Fever Reliever event (4SS, G/45; d/10).